Aventics Controls are timeless design, intuitive operation, and flexible use characterize our high-quality, reliable components. The Marex OS and ECS are our "Open System" CAN-bus controls that feature programmability of all time delays, speed curves, and serial communication among all components without the need for total system re-wiring for future expansion. 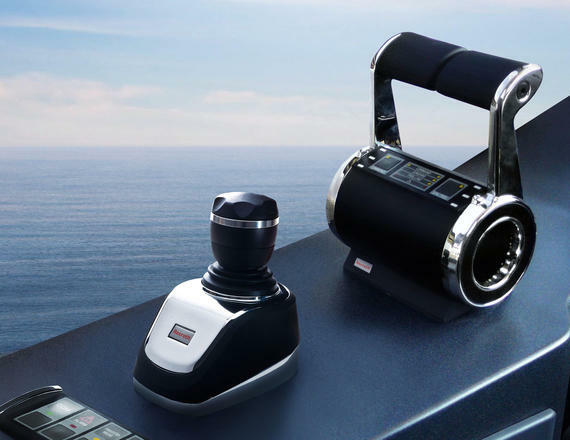 The Marex OS 3D joystick system allows for intuitive ship control. The operator moves the joystick, and the ship mirrors the movement precisely. The controller automatically compensates for external influences, such as wind or current. The Marex OS III system is available for controllable pitch propellers, jet propulsions, and reversing gear systems. They are easy to integrate and enable efficient, highly effective control. The Marex OSII system with its modular system architecture is a cost-effective remote control system which can be adapted to the propulsion system flexibly and easily. The Marex ECS, state-of-the-art CAN bus technology is used to control single or twin diesel engine applications smoothly from up to four control stations.